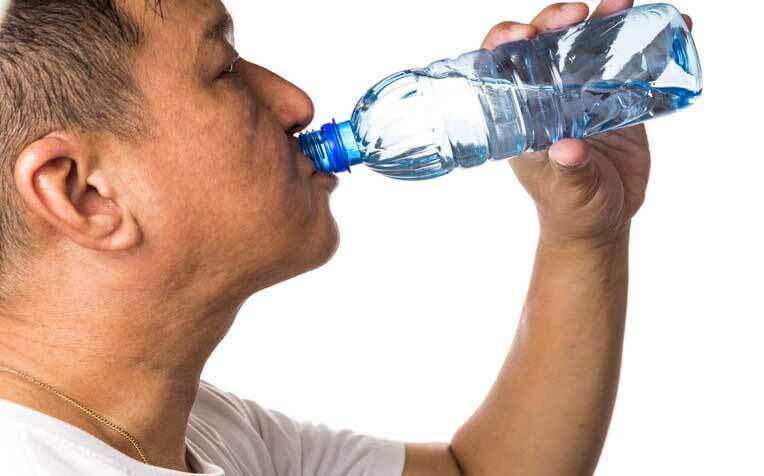 by drinking more water to quench your thirst. Asian flush syndrome is the term given to the phenomenon observed when someone’s face turns red after drinking alcohol. It is common among Asians of Chinese, Japanese and Korean descent. “Many believe this to be a sign of good “qi” when in fact, it indicates that the person may have trouble metabolising alcohol and this exposes them to a higher risk of certain diseases and cancers,” says Dr Tan Ek Khoon, Associate Consultant at the Department of Hepato-pancreato-biliary and Transplant Surgery, Singapore General Hospital (SGH), a member of the SingHealth group. Here’s what you can do to better cope with Asian flush syndrome. If you must drink, drink moderately. Men should limit themselves to two standard alcoholic drinks per day and women should stick to a maximum of one alcoholic drink per day. One standard alcoholic drink: 1 can of beer (355 ml/5% alcohol) or 1 glass of wine (about 150 ml/12.5% alcohol). Binge drinking overloads the body’s ability to metabolise alcohol. If you suffer from the Asian flush syndrome, wait till the redness subsides before taking another drink to avoid acetaldehyde overload. Besides, the liver can only metabolise about one ounce (30 ml) of alcohol per hour (equivalent to less than 1 can of beer or 1 glass of wine). Read the bottle labels. Choose red or white wines with 12.5% or less alcohol per volume (APV). Beers, wine coolers, table wine and sparkling wine have lower APV than spirits. A full stomach protects the stomach lining against excessive irritation due to alcohol. Snacking on fatty and carbohydrate-rich foods such as seeds, nuts, cheese, pizza, pasta and bread can also prevent the alcohol from entering the small intestines too quickly and thus can slow down the rate of alcohol absorption. Because alcohol is a diuretic, it can increase your thirst. Quench your thirst with water or non-alcoholic drinks instead of with more alcohol. Click on page 1 to learn more about asian flush syndrome and its signs.